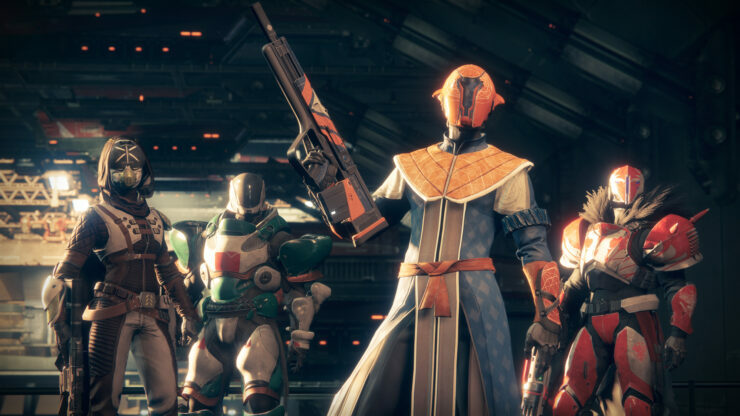 Destiny 2 has been out for a little over a month on consoles, meaning that most players are now delving into the endgame. While early impressions on the overall game have been very positive, if you stop by community hotspots such as r/destinythegame you’ll now notice a veritable plethora of complaints. The main topic of contention is the lack of character progression or grind, which is quite ironic when you consider that usually, we’ll hear about players complaining about too much grind in games. Yesterday’s ‘This Week At Bungie’ post, where the developers announced the return of the Iron Banner PvP event and the Prestige Raid for PvE, was probably the last straw. That’s because it was confirmed there won’t be any actual rewards to character progression to be found in this Prestige Raid. Now, the community is literally up in arms because there apparently isn’t a valid reason to play the game anymore to progress characters. Here’s what Reddit user Toland27 had to say in what’s currently the fourth most upvoted post in the channel. The players that browse this subreddit are some of if not the most dedicated players you’ll ever find in your game. We’re the players that buy DLC the second it’s announced, we’re the player that preordered the game as soon as we could, we’re the players that defending you steaming pile of crap game for an entire year before you made any major improvements to it. When people took jabs at Destiny, saying “who still plays that game anymore?”, we were the ones still playing. We were the players who grinded strike after strike, raid after raid, trials match after trials match because the one things you guys really did get right was the grind. Whether it was chasing Light Level, a perfectly rolled hand cannon, or a rare raid drop, the grind kept us playing and kept your player base from dropping to nothing. Now, after weeks of anticipation for what could be an even greater raid experience and a fresh take on Iron Banner, you’ve surprised us all again. Iron Banner is no more than quick play with new armor. There is no mention of IB weapons, which makes sense considering that Bungie has proven time after time that we should not expect anything from them. The prestige raid will not offer a light increase, it will be minimally more difficult in terms of mechanic (yay more sponges! /s), and will not offer players any incentive to run after getting their emblem. This is not acceptable. Too much has been cut from the core destiny experience to just allow this to continue. Whatever happened to becoming a legend? Many players are already 300-305, are you telling us that we’ve done all there is? There’s no more grind until presumably December? At this time last year, WotM hard mode was just being released and it granted players an new experience. New mechanics, a new max light to grind for, and new loot to hunt for. I don’t know what we as a player base should or even can do. We do not make up a large amount of the revenue that Bungie makes off this game and all of us have already given them our money. But if it takes weeks or even months of not playing Destiny 2 to show Bungie that we are pissed, maybe it’s worth it. It’s not like there’s anything fun to do in-game anyways, I don’t think I’d miss out if a boycott was enacted. Another highly upvoted post by user pheldegression added that several Destiny 2 players are already moving onto other games. I was on last night, getting my milestones done on my second of three characters. I looked at my friends list, and even though I had ten friends online, none of them were playing Destiny 2. I checked my clan, and only three people were on. One of my friends who plays video games all the time hasn’t been on the game in over a week because “I can’t be bothered. I have nothing left to do.” People are going back to their old games, like GTA 5, Siege, Fifa. The friend I mentioned above is playing the Division over this game. My issue isn’t that people weren’t on, I get that people have lives and obligations. My issue is that they were on, and none of them wanted to be bothered with this game. Depressing. That said, Bungie might already have a fix in their pockets for the endgame: Seasons. Another hint to that end was dropped in yesterday’s blog post, as you can read below. *There is that word again: Season. There is a mention of seasons when you inspect your Clan. Now, we’re talking about it on the blog. What does it all mean? On the official TwitchCon website, we found additional information on this panel which will apparently focus precisely on how Bungie intends to keep the community engaged in Destiny 2. Destiny has established itself as a game of action-packed rituals and special events. With Destiny 2, the development team at Bungie has a goal is to keep the community of Guardians engaged from season to season with new reasons to play. Join DeeJ from Bungie for a discussion with Designers from the Live Team who are focused on sustaining this new adventure. Seasons have been successfully implemented in games like Tom Clancy’s Rainbow Six: Siege. Will Bungie be able to make them appealing enough to improve the endgame and revert the community’s unrest? We’ll know more during TwitchCon in two weeks.